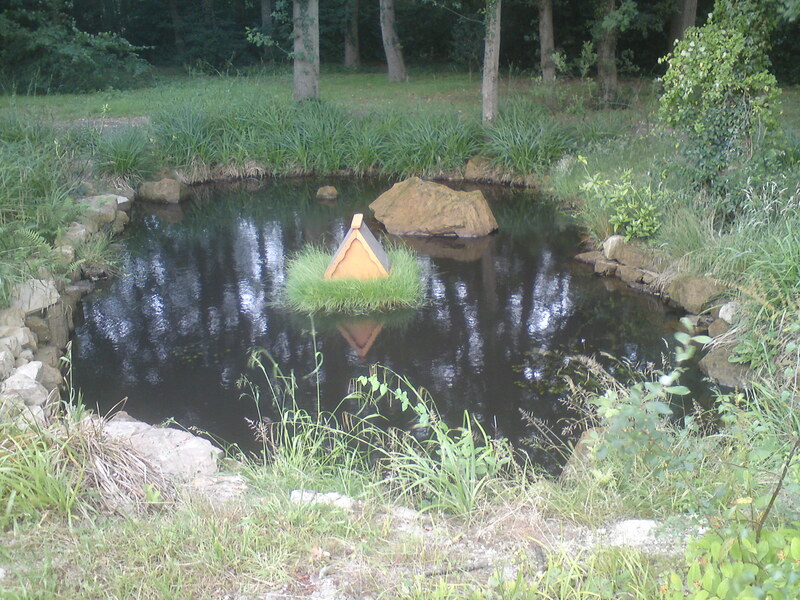 The site of the pond was previously a hollow in the ground which filled with water in the winter but was dry most of the time. We dug out the pond shape and removed about 50 cubic metres of soil from site. 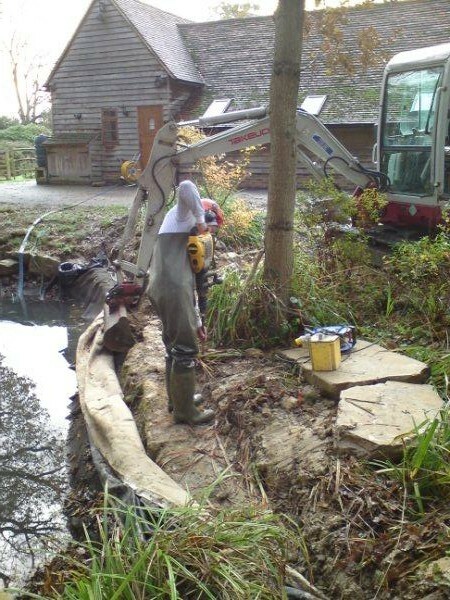 The pond was then lined with underlay liner and overlaid with a thick specialist pond liner. 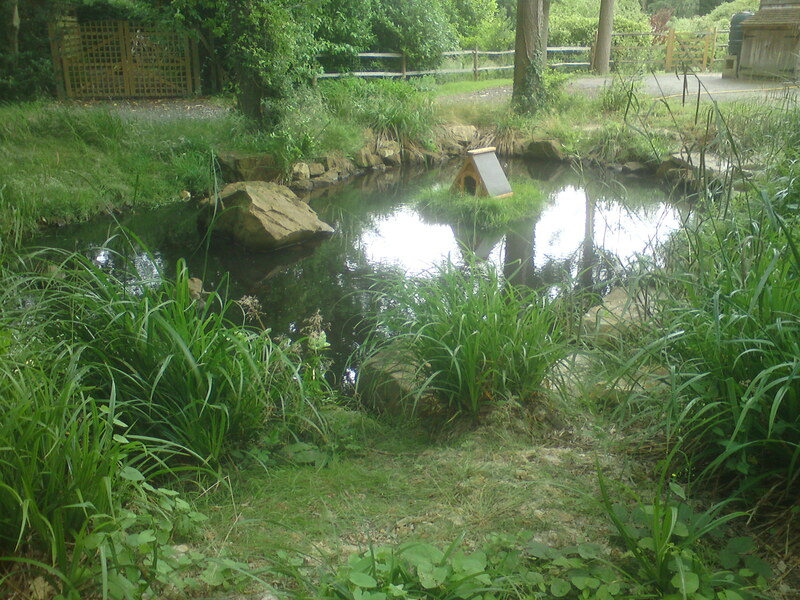 We imported large quantities of local stone to build up the pond edges and for feature stones in the pond itself and for around the sides.